Affordable, quality solar | Freedom Solar, Inc.
Not sure if solar is right for you and your family? We can help you! We look at your power consumption, your property value and your location to see if solar is the right fit for you. Book Your Free Assessment Now! Solar can save you money! With no upfront costs, and many financing options, we help make Solar an affordable, cost-effective solution for you and your family. 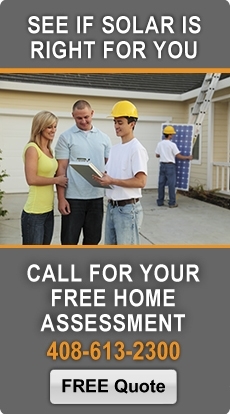 So get your free solar assessment today, so you can stop paying those costly electrical bills. Book Your Free Assessment Now! Freedom Solar offers solar solutions for apartments, hotels, shopping centers and industrial buildings. Free solar assessments are available for businesses. See how much you can save with solar today. Freedom Solar, Inc. offers affordable, custom solar photovoltaic (PV) systems for homes and businesses in the San Jose Bay Area. Because of our experience with a wide variety of installations, Freedom Solar is uniquely qualified to install solar PV on all types of roofs: concrete, clay or metal tile, metal seam, wood shake, composition, or any type of flat roof. If roof space is at a premium, our solar PV systems can also be ground-mounted if there is available space. And by using the most efficient and cost-effective panels, Freedom Solar helps keep the price affordable for all homeowners looking to maximize their solar investment. Freedom Solar designs a customized PV system reflecting the best combination of site details, energy savings, and budget. Our solar systems add significant value to new homes and major remodels. Freedom Solar also provides a complete technology portfolio to satisfy every homeowner need such as chargers for electric vehicles and battery storage systems. We also work with partners for pool heating solutions. Use our Contact form to get more information or call us at 408-613-2300 to find out how a solar installation from Freedom Solar can dramatically reduce your energy bills for years to come. Freedom Solar is an Elite SunPower dealer, providing state-of-the-art panels from an American corporation.